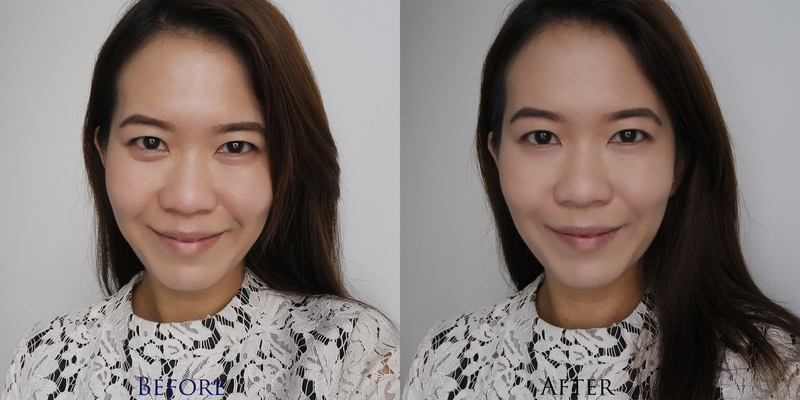 I am finally coming to the last of my mini-series on the new generation of Estee Lauder foundations – I had earlier reviewed the prestigious Re-Nutriv Ultra Radiance Makeup and the anti-aging Perfectionist Youth-Infusing Makeup. Today, I would like to introduce you to Estee Lauder’s Futurist Aqua Brilliance Makeup which promises “youthful, dewy skin anytime, anywhere”. 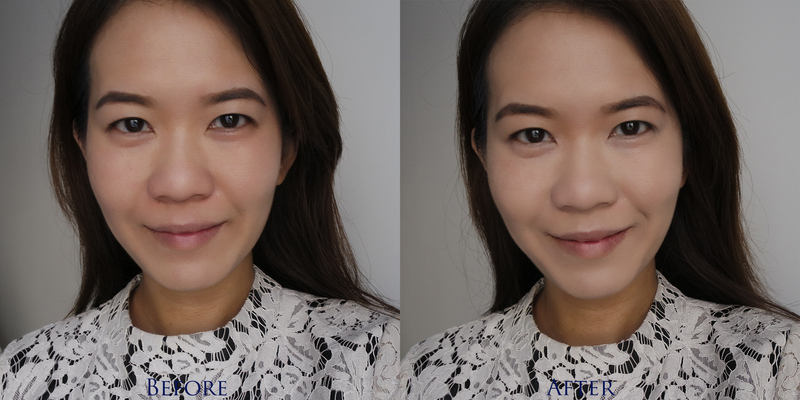 The Futurist Aqua Brilliance Makeup is specially formulated for Asian skin, and I believe it is exclusive to the Asian market [there is a different Futurist Age-Resisting Makeup for the rest of the Western world]. Just as with the other Estee Lauder foundations I have tried, the Futurist Aqua Brilliance foundations are loaded with skincare ingredients that target long-lasting hydration. Estee Lauder has formulated a special Revival Plant Extract from a wild flowering plant originating from the Balkans which has the unique ability to preserve itself from drying out. Even after it has completely wilted, the plant will recover and flourish again once water is re-introduced. A patented Sustainable Moisture Complex composed of hyaluronic acid, ceramide spheres and linoleic acid locks moisture deep in the skin, delivering long-lasting hydration. In addition, Water Lily Extract soothes and calms the skin to ensure maximum comfort throughout its wear. Estee Lauder Futurist Aqua Brilliance is available in 2 different versions – Moisture Infused Liquid Makeup, and Compact Makeup. Estee Lauder Futurist Moisture Infused Liquid Makeup is a fluid foundation that provides medium to full coverage and leaves skin looking plumper and luminous. The packaging is very similar to the Perfectionist Makeup, but the texture feels lighter and more watery. As a result of this more fluid nature, I find this Futurist Liquid Makeup provides less coverage than Perfectionist, but still allowing a generous medium coverage. In addition to all the hydrating benefits explained above, this foundation also comes with SPF15 / PA++, which is probably too low for SPF-obsessed Asians, but still better than none. On left: Bare face prepped with Sunday Riley Effortless Breathable Tinted Primer. On right: With Estee Lauder Futurist Aqua Brilliance Liquid Makeup. As you can see in the comparison pictures above, I am having some redness on my cheeks and near my brows lately [click to enlarge]. Estee Lauder Futurist Moisture Infused Liquid Makeup was able to camouflage the worst of it although there is still some unevenness on my cheeks. The finish is also very lovely, as I have come to expect from Estee Lauder, bringing a luminosity and even an almost imperceptible lift from the hydration boost. It dries down to a satin finish though, not the dewy effect (big sigh of relief!) as described. Estee Lauder Futurist Aqua Brilliance Compact Makeup is an innovative aqua gel-emulsion formula with the portability of a compact. It comes in a round plastic case that opens up to reveal an anti-microbial sponge and a mirror. The actual foundation is kept air-tight and prevented from drying out by a second snap-on lid. Despite the fancy description, it feels like a cream compact foundation to me. In contrast to the Liquid Makeup, this Compact Makeup contains natural waxes and oils to hydrate, and veil the skin with a moist barrier to prevent water loss from the skin. It also comes with a slightly higher SPF20 / PA++, which is just about the right balance between sufficient sun protection and avoiding photography flashback (which you hardly hear from me because it doesn’t rank very high in my list of daily makeup requisites). On left: Bare face prepped with Sunday Riley Effortless Breathable Tinted Primer. On right: With Estee Lauder Futurist Aqua Brilliance Compact Makeup. I have to say, this is not my favorite cream compact foundation. I had really dry flaking skin when I was testing it out, and it would emphasize whatever crease and flake that I had [feel free to click the image above to enlarge]. Also, it is just a tad too waxy, so if you try to apply this with a sponge or even a brush, you may find yourself packing too much on your face and having to spend more time blending things out. However, if you have a large fluffy brush like the Koyudo BP013 [reviewed here], the results could be quite lovely. The BP013 picked up just the right amount of product and blended things out for an air-brushed finish as I quickly swept it across my face. If you don’t own anything like this, then I would suggest simply dabbing (not swipe!) the sponge to pick up as little as you can possible manage, dab on the high points of your forehead, cheeks, nose and chin, then blend out. It is far better to start little and build up than the other way around. Dense brushes like the Tom Ford Cream Foundation Brush and paddle-like brushes did not work well for me. Even with the fluffy BP013 sheering out the Futurist Aqua Brilliance Compact Makeup, it still provided decent coverage for my redness, and was very comfortable on my skin all day. The finish is luminous, although I would not describe it as dewy, but instead it feels satin on me. On my dry skin, I do not feel like I need an additional layer of powder, although the waxy texture made me want to. When I first received this, I remember trying out the Liquid Makeup and really loving it. But I got distracted with the others in the family and by the time I came back, they felt different. Not entirely in a bad way, but the ultra-smoothness of the Re-Nutriv Makeup and its gem-like glow had ruined me for anything else. Of course, at SGD58 for the Futurist Aqua Brilliance Moisture Infused Liquid Makeup and SGD88 for the Futurist Aqua Brilliance Compact Makeup (compared to SGD132 for Re-Nutriv! ), this is probably the best of its class that I have encountered! Which do you generally prefer – liquid or cream compact?